Jerry: A Gracious Gift From God | "I am Alpha and Omega, the beginning and the ending" (Rev 1:8)..
Hello. I’m Curt Stowell. Everyone in their lifetime will have at least one experience which they’ll never forget. In 1978, at the age of 16, I had experienced an event that is somewhat like the type I mentioned above because it certainly changed my life. I can’t say I’ll never forget it because I don’t remember it happening. The event was so grand, so traumatic, that my mind was forced to step back and rewind my memory bank to the day of my birth. Don’t become confused. My memory wasn’t exactly destroyed, but, in a sense, stolen. It was at this time Jerry came into existence, and with a virgin memory, yet it was used. I wasn’t dead or kidnapped just sort of put on hold. I’m not the creator or proprietor of Jerry, nor is he a figment of my imagination or a character in a fiction book. Jerry “was” a real, living, breathing person, and the creator of himself. For a very, very long time, aside from my mother, he was the only friend I had. Yet, I didn’t know he existed until I no longer needed him. On August 2nd of the year of Jerry, two friends and I went cruising very late in the evening. It’s unknown whether it was due to the alcohol, the marijuana, the drugs, or just an idiot’s talent that we took the corner off 23rd Street onto Shaw Road a bit too fast. Fast enough that the little car began to roll and during the process I was catapulted from the back seat out the back window head first. I guess you could say I was the winner concerning who obtained the most gifts out of the ordeal. My two friends only received minor bruises and scratches while I was awarded a multitude of gifts. The most outstanding of them were a fractured skull, equipped with blood clots (subdural hematoma), a hole in my head which was later enlarged in surgery to permit necessary irrigation and removal of the blood clots. In a later surgery this was covered with a fiberglass plate. I also was left with double vision (uncorrectable even with lenses), epilepsy, left-side ataxia, a serious pulmonary problem, a memory bank that was wiped clean, and when I came out of the coma 30 days later my intelligence was below that of a four-year old. The awards mentioned above may not sound like a whole lot of fun and they weren’t, but they were all necessary. Five years after the award ceremony Jerry was given the greatest gift anyone could ask for: He was introduced to God Himself. As noted above, I was in a coma for 30 days. Imagine how a mother would feel. I was kept alive by machines and the neurosurgeons gave me less than a 10% chance of survival. To add to that it was assumed that if I miraculously came out of the coma I would never see the age of 21; that I would die the vegetable I had become. I am not speaking derogatorily of the neurosurgeons that spent hours and worked hard to save me, but those in that type of profession seem to me not to have much of a personality or sympathy. They are basically walking, breathing textbooks. My situation was nothing new to them; they had seen it before and knew very well the likely end result. Nevertheless, God had a different plan in mind. My mother was at the hospital all day every day except to go home to bathe. A few days after the accident, the hospital chaplain asked her if she wanted him to pray for me. She was a Christian Scientist at the time and affirmations of the love of God and denial of any evil was more the way to handle the situation than prayer. She figured it couldn’t hurt and responded to the pastor’s question with, “Yes, if you have any connections go ahead.” The pastor prayed that God would let me live, make me whole and for Him to give a sign that the prayer was answered. The next time my mother went into the ICU room she said I sat straight up and opened my eyes then laid back down. My mother recognized that as the sign the chaplain had prayed for and knew the prayer had been answered. Soon I was out of ICU and after that I began coming out of the coma, but was unable to sit up on my own and when my eyes were open they just rolled around (maybe checking out that hole in my head). I was fed through a tube and tied down in my bed except to be sat upright and tied into a wheelchair for bits of time in order to prevent pneumonia. After another three and a half weeks I was sent to Good Samaritan Hospital in Puyallup to begin rehabilitation, with little expectation of much progress. My mother no longer accepts the belief system of the Christian Science religion and regards it as a cult, having become a born again Christian. Aside from my skull, none of my bones were broken. Due to the brain injury however, many of my body functions were affected. I was unable to do anything for myself. I had to learn everything all over again – how to walk, talk (first I had to learn how to even make a sound), feed myself (even how to swallow), clean myself, read – basically everything and I had no backup to refer to. However, God had made a promise and He doesn’t break them. Therefore, there is no need to go on with that story. I continued to get better. I didn’t really believe in God at that time. As I – well, as Jerry continued to get better, people would tell me that I should thank God for letting me live. No, that was not how Jerry and I saw it. God did not let me live; He was making me live because He was a horrible, cruel God, if He even existed. And if He didn’t exist, He was a liar for making people believe that He does. The above thoughts would only come from a confused and distorted mind. I was not a happy person. Being retarded is far from simple or fun, especially since I knew that if Jerry could escape from my own mind I would no longer be retarded. That certainly was not going to happen anytime soon. At the age of 17, Jerry tried to commit suicide because he could not cope, partly with the way he was, but mostly with the cruelty the world consistently fed him. He obviously failed at that, and if he couldn’t perform a simple task such as suicide he certainly wasn’t an escape artist. Nor did I know that they enjoyed my money not me. Yet, none of this mattered for two reasons: (1) There was nothing Jerry wanted more than a friend, and (2) old or new, real, or false did not enter into the mind at that time due to Jerry’s retardation and amnesia may have played a part in it, too. Amnesia is a very strange land because knowledge is life and without knowledge you would figure there would be no life. Yet, there can be life without knowledge. No one can truly know amnesia without experiencing it. If you have it you can’t explain it to anyone. You can’t explain it to yourself; you just know you have it. Let’s use a drunken blackout as an analogy, I’m sure many can relate to that. You don’t know what happened during the blackout so you can’t tell anyone or yourself, but you know you were drunk. The best way I can define amnesia is: I don’t remember what I forgot, but I remember that I forgot what I should remember. The two friends that had been in the accident with me had done their best to evade me or they would play cruel tricks on me because they thought it was funny and they didn’t like Jerry. Yet, when the money came, they were there with their hands out. Of course, at that time I didn’t know they had played cruel tricks on me and I was happy to see them and give them money. I was quickly introduced to the world of drugs, primarily everyone’s favorite sport: cocaine. I was still Jerry, but instead of being a stupid, annoying retard that could barely walk or talk, I was a stupid, annoying retard that could barely walk or talk that had money. Where was mom? Jerry was a terror to her. He threatened to burn her house down if she didn’t give him all the money. All she could do was give him the money and pray, and pray she did. The money quickly ran out, a great amount of it going into my so-called friends’ veins, as well as my own. Once the money left so did the friends. A few friends stuck around, but the money was gone so the cocaine was too. Jerry’s friends really liked the drugs so he wanted to please them and himself. In 1983, at the age of 21, I was charged and convicted of four counts of 2nd Degree Robbery. I knew right from wrong, but as a child; not as an adult. Repercussions? Punishment? You mean I have to go to bed early? No dessert? The judge had pity on Jerry and I was sentenced to one year at Teen Challenge in Seattle, Washington. I really didn’t care for religion, especially if they were going to talk about God, but I figured I could deal with it for a year. The others there made fun of Jerry or stared and made faces or made snide remarks. The staff frequently scolded me because I didn’t hold my silverware correctly, I was loud, I refused to make up false words as if speaking in tongues (that’s what they thought you did to speak in tongues), etc. After a few days I left and a few weeks after that I turned myself in and stood before the same judge. The judge was going to let me go back to Teen Challenge and give it another try, but I was not willing. My lawyer wanted the judge to let me go to a different program and I think he was going to allow it, but the prosecutor was against the idea. Therefore, the judge gave me the choice of going back to Teen Challenge or ten years in prison. Jerry and I didn’t know anything about prison, but we knew we couldn’t deal with Teen Challenge, so we accepted the ten years. It wasn’t God’s decision that I commit robbery or use drugs, Jerry and I did that all by ourselves. God will not force you or even help you sin, nor even tempt you to do so (James 1:13). God is a spirit (Jn 4:24) and is not of this world. It is the work of the flesh (Gal 5:19-21), which is the world, that tempts you to do evil, wicked acts. The Spirit of God is only good and loving (Gal 5:22-23), while it is the devil who is here to destroy you (1 Pet 5:8 and Jn 8:44). In 1983, I found out that Jesus is real, as real as the sun rises. In 1986, I was paroled and even though I believed and maybe even loved Jesus and wanted to be like Him, I wasn’t as sincere as I had thought. Jerry was getting much better, and prison did nothing but anger him. Once released, God was pushed to the back of the line. I had decided to have fun and hurt anyone I chose. By placing my lustful desires before God I was forcing a separation (Isa 59:1-2) and accepted the ways of the world and became servant to the devil (1 Jn 3:8-9). In 1987, ten months after my release, I returned to prison under the convictions of four counts of 1st Degree Robbery, five counts of Assault, and two counts of Auto Theft. About two years before my release on January 22, 1992, I had spent seven months in the “hole” for disciplinary purposes. I spent a lot of time with God and on my release, I, without Jerry’s opinion, immediately moved to San Marcos, Texas, because I knew if I stayed in Washington, I would find myself within the revolving prison doors once again. It’s said that once we’re fully developed, bone doesn’t grow, that it can only mend itself. For example, if an arm is broken, the broken pieces can be fastened together and they’ll grow back together. Yet, if a finger is cut off, a new finger won’t sprout out of the stub. It’s also said that epilepsy doesn’t go away. At the age of 24, my skull bone grew back, shattering the plate, so that I no longer have a plate in my head. In 2006, I ceased having seizures and taking epileptic medicine. I’m sure you figured out I didn’t graduate from high school – Jerry couldn’t spell “graduate,” let alone do it. I do have my G.E.D., and I’m somewhat educated in psychology, computers, the Internet, Microsoft Word, and a multitude of clerical/secretarial tasks. I can do small plumbing projects, a bit of carpentry, and I have a driver’s license. I type about 60-70 words per minute and from 1993 to 2004 ran a typing business which I created and was the sole proprietor of. I closed my business only to return to college where I obtained an Associate’s Degree in Paralegal Studies, with a GPA of 3.54. At this writing, I’m 46 years old and even though some of the damage done by the accident is still with me if you met me you’d have no idea that I’d been in any accident, let alone one that gave Jerry life 30 years ago. I’m no longer certain that my amnesia is full or if it’s partial because sometimes I remember things from my past prior to the accident. Yet, I don’t know if I’m remembering the incident or if someone told it to me when I was Jerry. One thing I do know for certain but can’t explain the feelings, is that I don’t know or remember who I was before the accident. I’m told that I’m just like I was, but this doesn’t tell me anything. This would be like giving me a hamburger for the first time and telling me this is how they always taste. If I had never had a hamburger before it tells me nothing about prior hamburgers. It feels as though there’s a hole in my soul. Yet, it actually doesn’t matter because I didn’t know God then, so I don’t want to be that guy anyway. All the things I can do and will do in the future are done and will be done only through the grace of God (Eph 2:8-9) and (Phil 4:13). There’s nothing, absolutely nothing that God can’t do (Luke 1:37). and there’s nothing He won’t do for those who love Him (1 Jn 3:22, 1 Jn 5:14-15, Mk 11:22-26). God is not easy to understand because He is God, which is beyond our understanding (Isa 55:9). We’re not to know everything of God (Acts 1:7), but the Bible explains Him quite well. And of course, if you’ll talk to Him He does answer questions (James 1:5). God isn’t a fantastic, mysterious force that floats around in the atmosphere or outer space. Yet, He is, without a doubt, fantastic and mysterious, but He’s a spirit (Jn 4:24) and there’s no one like Him (Isa 44:6). We’re also spirits and we are also people so it’s quite obvious that He too is a person. He’s just like you (Gen 1:26-27), and He has feelings too (Ex 34:14). Of course, we’re not exactly like Him because He is the creator of all things (Isa 45:18, Ps 19:1, 24:1, 33:9). As humans sometimes it is easier to understand a subject if we have a picture or idea or concept to compare it to. Let’s use the children’s story Pinocchio for an example where Gepetto made Pinocchio. Gepetto wanted a son so he sat in his workshop and carved all the body parts out of wood and then put them together. He gave Pinocchio everything he needed to be his son. He wasn’t created to be a liar. Pinocchio did that on his own. Now let’s look at God sitting at His workshop as He creates the world and everything in it, which includes you. He gave you all you need to be His child and all that He asks of you is that you be honest and love Him as He loves you. He didn’t make mankind to be sinners. We did that. Actually, Adam started us off (Gen 3:6). Yet even though we sin God doesn’t walk away from us (Deut 4:31, Isa 41:10, Heb 13:5). God is a loving, patient God, and he doesn’t want to destroy anyone (2 Pet 3:9), but He will in the end. Those who ignore Him and go Satan’s way will go to hell rather than heaven (Matt 7:21-23, Heb 10:26-27, 1 Cor 5:9-10, Rev 21:8, 2 Pet 2:4-9). If we abide in His ways and wait on Him we will be grandly rewarded (Isa 40:31, Ps 27:14, 1 Cor 2:9, Rom 8:28). I’m not saying it’s easy but it’s worth it. My release from prison in 1992 didn’t turn me into a Holy Roller or a righteous person. I can’t say I’ve never had any more problems with the law, but I can say that I work daily to please God. God wishes us to study his Word, the Bible, to know Him and to be like Jesus. As I said, it’s not easy, but if you ask God for His help He freely gives it. I can honestly say that I’m a new creature (2 Cor 5:17) and Jesus lives in me. It’s a real good feeling, but that doesn’t mean that I’ll not sin (Rom 3:23), but I won’t sin just for the purpose of sinning. I don’t fear the devil because God will protect me as long as I abide by His commandments (Deut 31:8). I’d rather be starving to death, living on skid row, be in prison, or even be Jerry again if that is what it took to be with God. But it’s not. All you need to do is believe in Jesus (Jn 3:16) and have faith (Matt 21:21, Heb 11:1 and Heb 11:6) and then He will show you and tell you wondrous things in due time (1 Cor 2:9). In other words, all you have to do is believe that Jesus was born of a virgin(Matt 1:18; Lk 1:27-28, 31), that He died for us(Jn 4:14; Isa 53:56), and was resurrected for us(1 Cor 15:20-22; Rev 1:18). Believe me, He didn’t do any of this for kicks and grins or because He was bored, He did it for US, to give us life. If you have everything except God you have nothing. If you have only God you have it all. I previously stated that God isn’t easy to understand, and He isn’t, but He’s not that hard to become friends with. God doesn’t want slaves, robots, or even servants. If that is what He wanted He could have created them. He wants true friends, a family. The way to become God’s friend is the same way you become with the ones you have on earth: It takes time, energy, and trust. And the Scripture was fulfilled which saith, Abraham believed God and it was imputed unto him for righteousness: and he was called the friend of God (James 2:23). I’m sure you sometimes disagree and even argue with your friends. God should not be treated differently. God saw Moses as a friend. It didn’t matter that Moses was a murderer (Ex 2:12) because God looks at the heart (1 Sam 18:7). And Moses said unto the Lord, See, you sayest unto me, Bring up this people: and thou hast not let me know whom thou wilt send with me. Yet thou hast said, I know thee by name, and thou hast also found grace in my sight. Now therefore, I pray thee, that I may find grace in thy sight: and consider that this nation is thy people. And the LORD said unto Moses, I will do this thing that you have spoken: for thou have found grace in my sight, and I know thee by name. And he said, I will make all my goodness pass before thee, and I will proclaim the name of the Lord before thee; and will be gracious to whom I will be gracious, and will shew mercy on whom I will shew mercy” (Ex 33:11-19). Are we not the same way? We are; but God being God can be so much more gracious and compassionate, as well as condemning. “The secret of the Lord is with them that fear Him; And He will shew them His covenant” (Ps 25:14). “For the froward is abomination to the Lord; but His secret is with the righteous. The curse of the Lord is on the house of the wicked, but He blesseth the habitation of the just” (Prov 3:32-33). Also, see (Rom 5:10, James 4:8 and Jn 15:15). “Behold, I stand at the door and knock: If anyone hear my voice and open the door, I will come in to him and sup with him, and he with me” (Rev. 3:20). It can’t be doubted that God wants us to love Him and be His friend for He loves us and is our friend. “But as it is written, Eye has not seen, nor ear heard, neither have entered into the heart of man the things which God hath prepared for them that love Him” (1 Cor. 2:9). Earlier I had said that when I was released from prison in 1992 I wasn’t a Holy Roller, and I wasn’t, and I’m still not, according to my definition of a Holy Roller (I place Holy Rollers in the same category as a Used Car Salesmen or a politician). I have no faith in any particular religion, I have a personal relationship with Jesus Christ, I’m a Rebel for Jesus. To understand the mysteries of God better, I recommend you pray daily for guidance and knowledge. 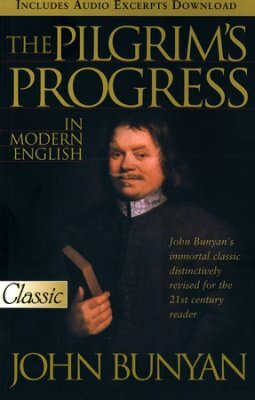 I also recommend that you read the book “The Pilgrims Progress” by John Bunyan. This book, if you will read it with the Lord, will lead you directly to Jesus Christ through the Holy Ghost. Correspondence Bible studies are a great help. Also, try and memorize the Psalm 1, Psalm 23, and Psalm 91.